It's so interesting to me, how God shows up. I'm constantly surprised (why surprised? is my faith so small? ), sometimes delighted, sometimes ambivalent, but always, there is the "Ahaaaa!" 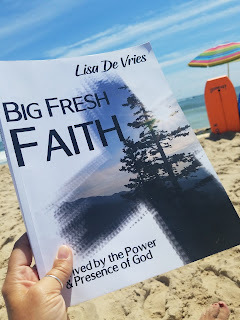 This past summer, I participated in a Bible study called Big Fresh Faith by Lisa DeVries. For six weeks, my group studied the power and presence of God in our lives. Driven deep for me was the certain knowledge that God desires intimacy with me, something that generated fear down to my marrow. As I wrestled with the idea of allowing myself to be fully known by God, my church life group chose the book for our fall course of study: He Calls You Beautiful by Dee Brestin. Not surprisingly (but I was still surprised) it is all about intimate relationship with God. For the past 7 months or so, I've been swimming, immersed, awash in, drenched by this concept. Clearly, God wants to get a point across, and he knows that I take a long time to come to trust. Part of my reticence toward intimacy with God is rooted in self-loathing on all levels: physical, emotional, mental, spiritual. I recognize the problem and I do long to come to a healthier place. With that goal in mind, I recently started a 16-wk health and fitness program that focuses on changing perspectives of food and body. 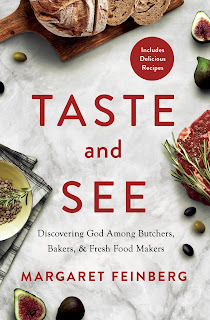 "Coincidentally" (not), I am now preparing to begin a Bible study in January called Taste and See by Margaret Feinberg. It's all about food in the Bible, and I can already tell it promises an overhaul of my perspective of food, eating, mealtimes, and more. I am acutely aware of God's timing and his gentle guidance over the past half-year. I'm eager to dive into this new study by Margaret Feinberg. I'm certain he's leading me to healing and I'm curious to see how he will use Taste and See to accomplish his purpose. It all comes back around to his desire for relationship with me. He has a fascinating, unique way of leading and interacting with each of his people in order to bring us to deeper understanding and closer relationship with him. How have you seen him guiding your path over the past 6 months?? I just finished this study called Big Fresh Faith by Lisa DeVries. Let me tell you a bit about it. The study is broken into six weeks - but let me just say, even though we kept to the six-week time frame, my group could have easily spent twelve! Each week starts with a short video, and then proceeds with five days of diving deeper. And boy, will you dive! We hashed through belief and unbelief, intimacy and reverence, mercy and atonement, abundant life, and more. My group's meetings were filled with thoughtful questions, sharing, lots of "yeah but's" and "what about's", light bulb moments, rabbit trails, and self-evaluating. All of us came to the end with a fresh perspective on our faith and excitement for the continuing faith journey. Watch the trailer. Read the reviews. Get the book and start your own journey through it. I believe it is well worth the investment. Come back and comment when you're done. I'd love to hear what you gained from it. I feel like I've been smacked in the face with mortality. 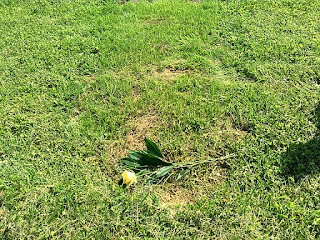 A couple of weeks ago, I went to the memorial service of a friend's mom. She was a spicy lady I met only one time, a little rough around the edges, who made me smile. I hoped she would recover so I would have the chance to know her, but no. Her service was a lovely glimpse into the life of a giving and loved woman who followed the Lord with practicality. 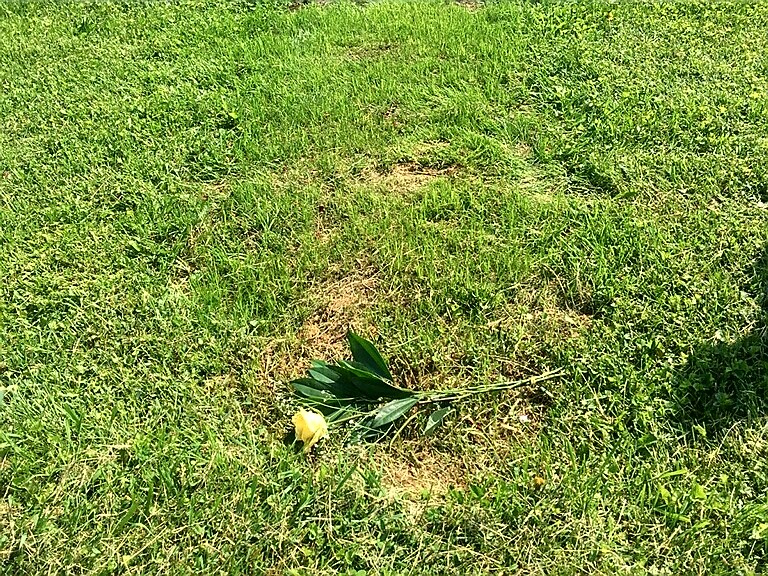 I felt like I got to know her a little, in listening to the memories, laughter, and tears of her friends and family. 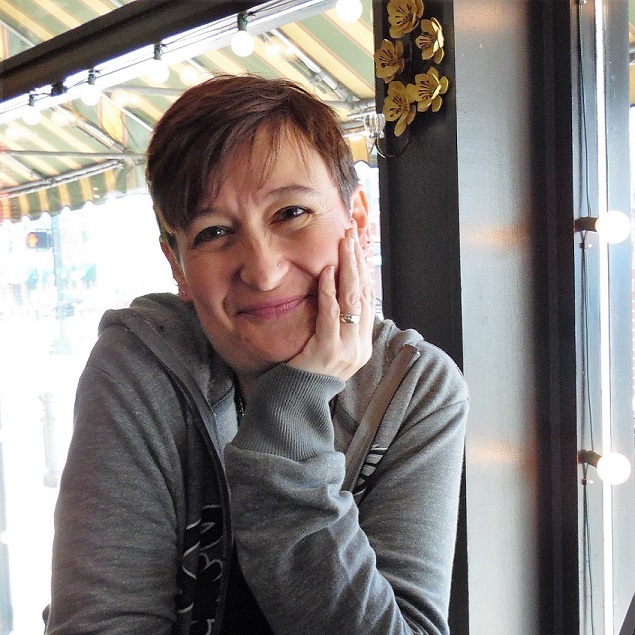 Yesterday I went to a memorial service for a young mom from my church, who died unexpectedly. We were casual friends who didn't walk life intimately, but still, I was jolted over and over last week with the odd feeling that I was going to wake up from a bad dream, that I would walk into church on Sunday morning and see her vibrant smile. Of course, no. Her service was full of memories, tears, love, laughter, faith, and the call to follow Christ. Very soon, I'll be participating in the memorial service for a long-time friend who is approaching the end of this life. We've spent precious time together over the past 4 months, wrestling with questions about suffering and death, sharing thoughts about life and eternity, encouraging one another in the pursuit of Jesus. I've treasured the enormous privilege of ministering to her through song as she's grieved loss and battled pain. Her service will be a beautiful testimony to a life well-lived. Earthly life is a vapour; how am I spending mine? Someday I'll wake up to my real Life, and I want the memories of me to be sweet. I want to be known for my passion for Jesus. I want to be remembered for love. kindness. compassion. generosity. integrity. authenticity. So this woman has been ill with some kind of bleeding problem for 12 long years. She's gone to doctor after doctor and spent all she has on finding a cure, to no avail; in fact, she's sicker than ever. She's heard about the man, Jesus, who heals people from disease, and today, she finds out he's come to her region. She longs to get close to him. [Now understand, Jewish law was super-strict about cleanliness. A bleeding problem would mean you were unclean and could not be a part of the community.] Imagine if she's found out: an unclean woman, entering a crowd, touching countless people and making them unclean! But this woman is desperate. If it's true that he heals diseases, she could be freed from this curse forever. She decides to brave the risk because after all, what does she have to lose? Off she goes, and soon she reaches the outskirts of the milling crowd. She can't call out to Jesus, because that would draw unwanted attention. She thinks that maybe if she could just manage to touch his clothing, she will be healed, so she eases her way through the crowd until she's behind him. She reaches out and brushes his robe with her finger and immediately feels it: SHE'S HEALED. There's more to the story, but here's where I went today: I thought about my life as a follower of Jesus. I think when I'm not careful, I settle for being a part of the crowd. I walk with him, ride the wave of ministry, enjoy seeing him in action. I marvel at his good work and feel glad to be a part of the family of God. But if I'm just a part of the crowd, I miss out on experiencing him personally. I lose touch with my own desperation and forget just how badly I need him in the every day. The bleeding woman has nothing left and she knows Jesus has what she needs, so she very purposefully reaches for him. She seeks to touch him in faith, even afraid, and receives healing. I'm just like her, so often. I'm so afraid in the crowd of people, afraid to be noticed for my unclean state, afraid to be denied what I so badly want and need. I love how Jesus responds to her. He notices her even in her attempt to stay hidden, knowing she's unclean but not exposing that truth to the crowd. He doesn't shame her, but he commends her faith and calls her daughter, giving her acceptance and love. What a sweet, intimate meeting in the middle of the chaos. The faithfulness of God astounds and overwhelms me. On the one hand, how can I be astonished? It's GOD. I AM. On the other hand, may I never lose the wonder of this all-consuming God whom I follow. He is breathtaking. Doubt. One of satan's handiest tools, he nurses the seeds with a religious fervor. I need a story for my writing course, and I have no ideas. I've always thought my best stories have the ring of God's voice, and so I decide to pray. God, I need a story. If you're calling me to this writing thing, it's up to you. In the waiting, I speak my doubt to Brant: "What if I'm not a writer? Will you think it's been a waste for me to quit my job and pursue this if nothing pans out, if I never publish a thing?" "No." My husband says it unequivocally, with a small, unperturbed smile. I supply my arguments: I don't know if I'm a writer. I don't know if I have anything to say. I'm not sure people want to read anything from me. "You sound like every other writer out there," he reminds me in his practical way, because I've told him about Francine Prose, Stephen King, Margaret Feinberg, Jonathan Merritt, and others whom I've read in recent months, and he knows even successful authors often hear the same song. Yesterday I ran an errand to my current favourite CD, Elevation Worship's There is a Cloud. As I drove and listened, I couldn't help but throw my hand out in worship (eyes open! ), and I thought about the changes God has wrought in me, the freedom with which he's gifted me. A crystal picture struck me, of a little girl with vines wrapped around her wrist and with the clarity of a "God-thought" I heard, "There it is, there's the story." In tears and laughter, I marveled once again at his sweet habit of whispering my mustard seed into growth. So faithful! Only hours later, I flounder again...how will I write this story, God? I can't think of how to make it flow. Was that really you? Can I be sure you gave that to me? Ah, my humanity...frustrating and humbling and necessary. I pick up a book I've slowly been working through, I read about praying for and trusting God for the impossible, and in what can be no coincidence, a reference to Peter hopping out of the boat to walk on water to Jesus - that recurring theme he's been speaking to me. I read about the waiting and hard work that can accompany a call from God. I remember the journey I've been on and his unflappable faithfulness on the road. With more tears, I acknowledge my utter dependence on his grace, surrender myself to his forgiveness, and settle in to wait and pray some more. I saw a quote by Lisa Bevere the other day: "His pursuit is greater than your ability to wander." For some reason it brought to mind Psalm 139: 5-6, "You hem me in, behind and before, you have laid your hand upon me. Such knowledge is too wonderful for me, too lofty for me to attain." I chose these as my life verses when I was baptized at 18; little did I know! To be hemmed in or enclosed (NASB) could lead to feelings of entrapment and claustrophobia. But oddly, as I traveled the long valley toward healing, it fostered a feeling of shelter. I remember feeling terribly afraid that I was beyond God's hand. There was so much wrong with my grid: I was terrified of God; I thought he was standing over me just waiting for mistakes; I pictured him as an angry and capricious deity; I was sure he planned harm for me; I didn't believe he cared about me as an individual; I didn't trust him; I didn't believe in his goodness; I feared being known by him. But at the same time, I loved him so desperately; I longed for connection with him, and a deeper, richer, living relationship with him. Somehow, those verses spoke of God's pursuit in my wandering - that he had set boundaries in place for me and that I wouldn't ever be able to go far enough to overstep them. 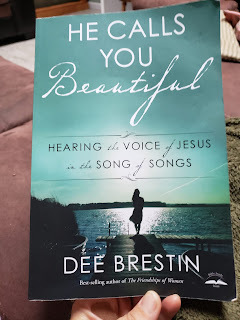 I discovered a curious feeling of safety, of having permission to step outside my rigid set of man-made, me-made rules and expectations for Christian living and see if I could truly taste and see Jesus. In comparative terms, I didn't step out very far. I didn't go off the rails in behaviour, didn't do anything wild or crazy. Rather, I gave up pursuing the God I knew, abandoned my empty Christian living, and waited. It wasn't a sedentary hold; I wrestled furiously with God in the tarrying. I threw my rage at him in buckets, and accused him with my pain over and over again. I stopped praying, singing, reading scripture. I prepared to abandon Christianity completely. For a terrified perfectionist, my valley was a dizzying, panic-inducing walk on the wild side! But God pursued me faithfully, relentlessly. He loves completely and is not willing for us to live in our brokenness, but longs for us to find healing and freedom in him. He never left me in my wandering, and I suppose, in the end, his fiercely gentle pursuit of me is what drew me into the Real. He loves me. I'll never be the same.